Effortless automation and monitoring of your SAP-based business processes and applications. 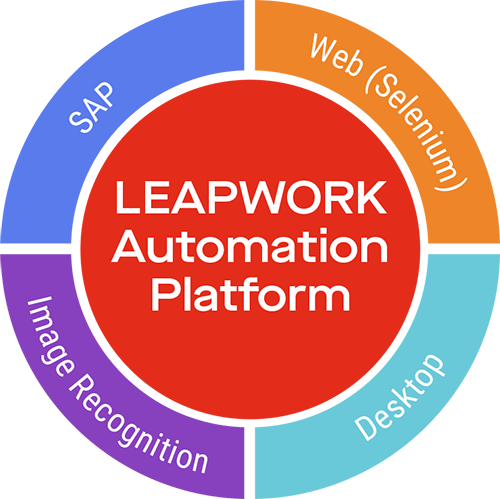 From verifying cross-application processes to working with dynamic data, LEAPWORK comes with built-in capabilities ideal for SAP automation. With the LEAPWORK Automation Platform, organizations do not have to worry about the highly technical know-how required by other SAP automation providers. 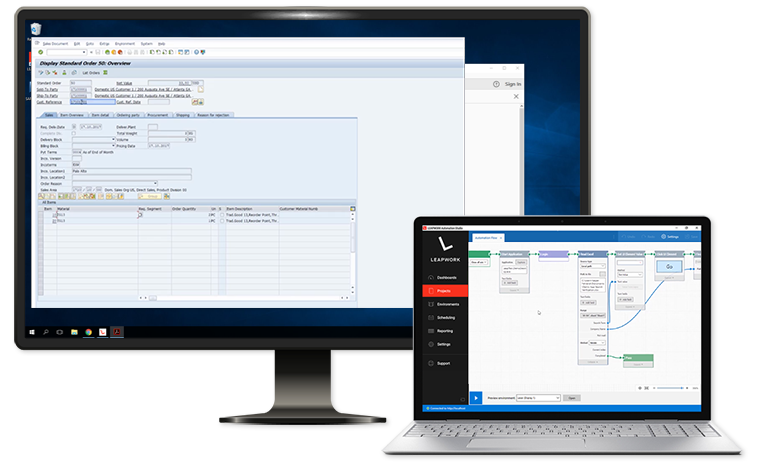 Business processes and daily operations often involve multiple applications, which is easily automated with just one LEAPWORK flow. 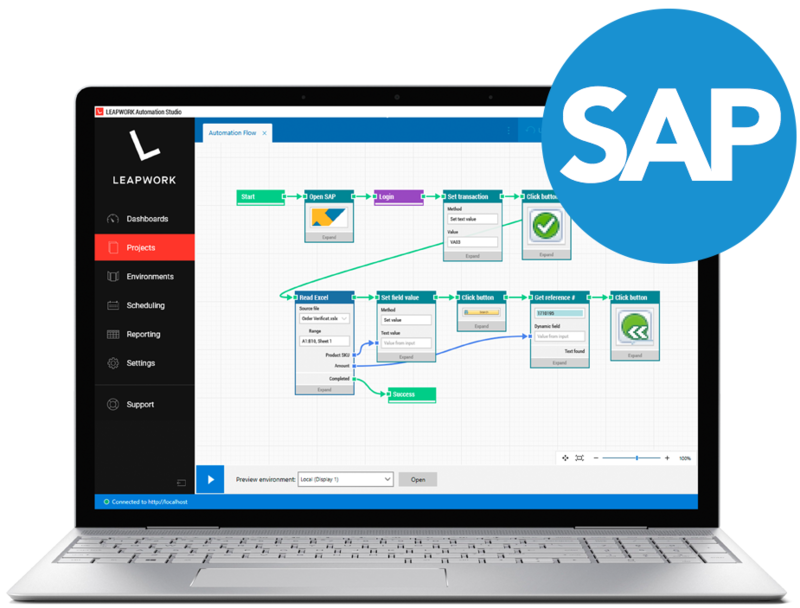 Both technical specialists and non-developers can design SAP processes with LEAPWORK's building blocks which include all the logic needed for automation and monitoring of applications and processes. 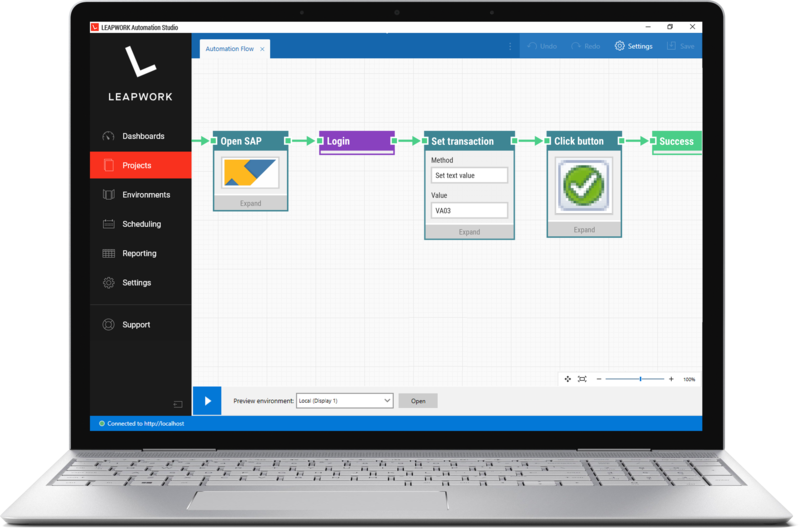 Build and execute automation cases of the SAP cloud and desktop applications from day one with the flowchart-based designer. Users at all business levels can design SAP automation flows without ever typing or reading a single line of code – and then execute cases with the click of a button. Work on automation cases in teams, share project assets, and set up feedback loops across departments. The LEAPWORK Automation Platform is a tool for specialists, generalists, and management alike. The image and text recognition technology of the LEAPWORK Automation Platform is a powerful approach to automating Citrix, graphics, games, and native mobile applications.